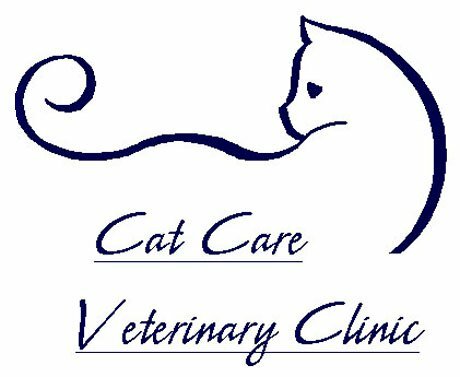 We all know that cats do not appreciate change or being away from home, but here at the Cat Care Veterinary Clinic we strive to make it as stress-free an experience as possible. All of our guest kitties receive lots of love and attention from our staff. We have very comfy kitty condos with a view out the window and there are always plenty of toys to play with. Lukaas gives the kitty condos his purr of approval! Our staff is trained to provide a safe, comfortable temporary home for your kitty. We watch very carefully for any signs of illness or discomfort, and even keep foods like tuna, shrimp and meat baby foods on hand for the picky eaters. It may not be home, but it's the next best thing. We currently have 12 kitty condos so space is limited -- make sure you make your reservations as soon as possible! If you are boarding more than one cat and you'd like them to be able to play with each other, the condos have removable partitions so that they can share space. You can call us at 919-380-2737 or email CatCareVetClinic@gmail.com with any questions or to make your reservation today.